Truth by Kbaig: ICC Should Be Brought Out of Indian Slavery to Safeguard Cricket..! 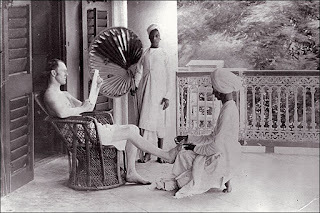 ICC Should Be Brought Out of Indian Slavery to Safeguard Cricket..! 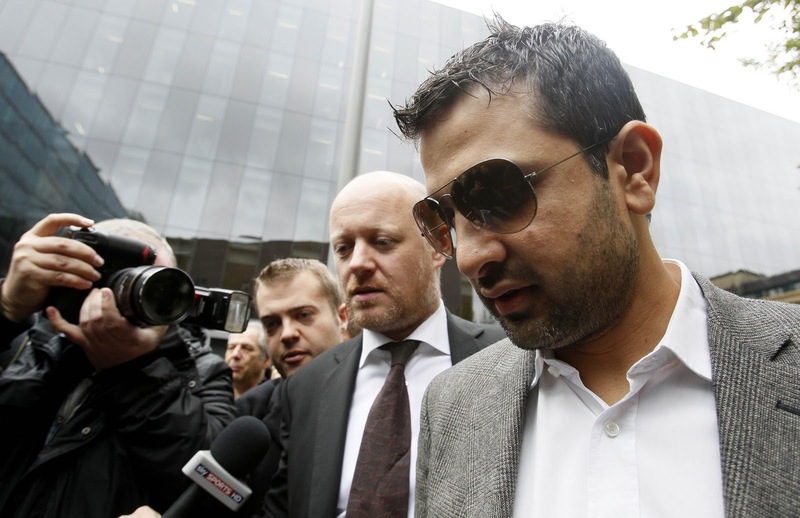 Three Pakistani Cricketers have been given imprisonment for allegedly being involved in Match Fixing. This brought defame to Pakistan and hurt the feelings of Pakistani nation. Everyone seems to be supporting this punishment and even protests have been held against these players within Pakistan. This was golden chance for Jewish and Indian media to turn the humiliate Pakistanis. Our public expressed their views by burning the portraits of these cricketers. Enemies are playing their role to push whole nation towards pessimism but alas! Pro-Indian elements within Pakistan especially media groups getting huge sums under the umbrella of AMAN KI ASHA has left no stone unturned to make a common of Pakistan feel guilty and humiliated. Public generally knows what media shows them or how media portrays the news to them and there is no doubt that media has been very effective weapon in the hands of Zionism since its birth. Now the Hindu-Zionist nexus has joined hand to target Pakistan in this media warfare. In such situation if Pakistani public target of propaganda if reacts violently against their own sons this is understandable. However, what should be the role of journalism? A journalist aims at a higher value i.e. to bring forward the truth with responsibility. Nevertheless, most of our media groups are devoid of these moral values. We cannot justify what our players have done or support them for match fixing but we should also highlight those events, conspiracies that are part of a Greater Game against Pakistan. Lets come back to our today’s topic i.e. Match Fixing. Indian influence over ICC is not a secret. Indian bookies are behind every scandal in the world of cricket, tempting cricketers for match fixing by offering them huge sums and through black mailing them. Most important of their weapons are threats and lust. These bookies are supported by RAW, and India can never allow anyone to investigate the source behind these agents, so neither ICC nor Scotland Yard ever dared to disclose the hidden hands behind these bookies. From Kerry Packer show to Sharjah Cricket, all matches are fixed and RAW earns huge amounts of profit through these gambling with the help of under world. The link between RAW, underworld, role of Chota Rajan and gambling has been already discussed in our previous article. We do not need to repeat all these details again. However, as these match fixings started no one dared to nip the evil in the bud and as a result this is now the most lucrative business for gamblers. Perhaps ICC ignored this because it could not dare to go against Indian as it has to look towards India to meet its expenses like UNO is bought by USA grants. RAW entered into this business through underworld to meet its heinous expenses. Other sources of income are human trafficking, drug smuggling, weapons smuggling and prostitution. The drama of match fixing by Pakistani cricketers was also staged by RAW to pressurize Pakistan to bow in front of India. (Lo! We are going to declare India as most favorite nation). May be Mr. Mazhar Majeed himself does not know that he is being used by RAW. He might have been used specially to target rising stars of Pakistani cricket. Whatever happened or how it was posed is another topic, before discussing the verdict of British court against Pakistani cricketers I would like quote here the brief summary of gambling in cricket and that how many have been convicted in it. 22 Players of more than 8 countries had been convicted of match fixing yet, but no one except Pakistani cricketers have been punished in this way. These include 5 Australian players, 5 Indians, 2 from British, and 3, 3 from New Zealand and Bangladesh each. Moreover Australian ex-Captain Hixon Tilker has accused Sanath Jayasuriya and Aravinda d Silva for match fixing as well. Match fixing started in 1982 when Australian Captain Billy Mardoch was accused of playing according to the instructions of book makers. These bookies used to meet him in the pavilion and discussed that how much individual score each player should make. It was also revealed that he was paid 100 pounds for returning to pavilion just on 49 scores in the 2nd test match of Ashes series played in Sydney. However no one ever dared to investigate this scandal. Australian fast bowlers Keith Miller and Dennis Lillee confessed that they were paid for poor performance in bowling by Indian bookies. Dennis Lillee disclosed in one of his interviews that he got afraid of the environment where he was called by Indian bookies for payment (this shows that these bookies not only buy players by money but threats as well). According to Australian newspaper ‘The Sun’ King of Spain Shayne Warne and Mark exchanged important information with Indian bookies. According to newspaper “The Age” Indians paid 15000 dollars to Shayne Warne while Mark was paid 2500 dollars to disclose the expected selected team and condition of the pitch. Shayne Warne did not stop here he had close ties with “John The Book Maker” from India. Ex Australian Captain Ricky Ponting is also involved in Match Fixing, and a gambler according to a British newspaper, “The Mirror”. He is an expert in gambling and match fixing. According to British newspaper The Ashes Series held in Australia were also fixed. England purchased host team for its victory in these series after 24 years and this was the reason behind the confidence of English Captain and Coach. According to Telegraph ex-fast bowler Andrew Flintoff of English cricket team was caught red handed in match fixing, so he declared retirement in 2005. According to “The Mirror” another English fast bowler was found in a pub telling the details of match plan to a bookie during World Cup-2007 played in West Indies. He was not brought to trial as well. 3 players from safe heaven and head quarter of match fixers i.e. India were also caught red handed in match fixing. While according to bookie, Mazhar Majeed Yuvraj Singh and Hrbhajan Singh worked for him. Sri Lanka disclosed an important video tape of Saresh Rana and a bookie. This video tape was fell into the hands of Sri Lankan police as they installed CCTV cameras for security of players and all the conversation between the bookie and Saresh Rana was recorded. However in order to save its player Indian Cricket Board claimed that the woman who met Saresh was his Assistant. ICC did not dare to investigate into this scandal because it received clear message from RAW that ICC will lose sponsorship from India. According to “Guardian”, anti-corruption board of ICC along with Indian Cricket Board did their best to suppress this scandal. Ex Indian Captain Azharruddin and Ajay Sharma were also caught red handed but they were just banned from the cricket not imprisoned. According Indian intelligence agency CBI, including Indian Captain, 4 players of Indian cricket team were in constant contact with Boss of Bookies i.e. Mukesh Guptal. Hansie Cronje is the first cricketer who confessed that he was paid huge sums by Indian bookies for match fixing. He revealed that during India-South Africa match in 1996 Indian captain introduced him with Mukesh Guptal. Moreover, he disclosed that he was paid 80000 dollars by Indian bookie for loosing the match on the last day of the one-day series. After two years of his disclosure, he was murdered in an aero-plane accident. Actually this was not an accident but he was murdered on the order of Indian terrorist agency RAW. The corruption in the cricket of Kenya was disclosed in 2004 when Morris was found guilty of receiving payment from Indian bookies. On the other hand New Zealand raised this issue to the administration of ICC that Indian bookies had contacted their players for match fixing Super Sixes in Hong Kong. After this ICC investigated the players but not the bookies. Here one fact that is very important that all those bookies reported by players were from India. Bangladesh Cricket Board also revealed that Indian bookies contacted all rounder Shakeeb-ul-Hassan, Muhammad Ashraful and opening batsman Tameem Iqbal. However until now no action has been taken by ICC. Before this Australian players Shayne Watson and David Warner also said that Indian bookies offered huge amounts for poor performances. In an interview to NDTV an Indian bookie disclosed that march between Sri Lanka and India played in Raj Kot in December 2009 was also fixed and the gambling amount was more than 28 billions. This brief history of match fixing and match fixers should be enough to open our eyes. What is going in ICC, who is behind this game, what are the interests of enemy, what role is being played by international media and how far Pakistani media is fulfilling its professional duties? Why ICC closed its eyes to all other cases of match fixing except Pakistan? Why ICC and Scotland Yard did not dare to investigate these bookies and hidden powers behind them? 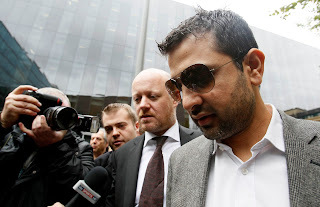 Why did not Scotland Yard and British courts disclose the supporter of bookie Mazhar Majeed? Maybe we are experiencing same court verdicts from British like the one we experienced at the time of partition when large area of Punjab having Muslims in majority was included into India and this caused the world’s worst migration. All this was done on the will of wife of Lord Mount Baton who was in love and illegal relations with Mr. Nehru. So in order to please Nehru British broke their own rule of partition. This happened sixty years ago, God knows now how many English Mams are in love with Indian Nehru’s and influenced the court verdict based upon racism. Here there is also another aspect that needs our attention, now President of Pakistan has ordered that full legal support should be provided to the imprisoned cricketers, alas! He had woke up before all this happened. Moreover, in the cell where Muhammad Amir has been imprisoned, biased British racist release murdered a Muslim prisoner before his. What if it happens to our players? This will be Indian wish that such thing should happen.RAW might try to silent these cricketers in case they know anything about its black business in ICC. If these boys have been punished not for being Pakistanis but just for damage they have done to cricket than why all other gamblers are not brought to justice? Why IPL which was cause of the dying sportsmanship in players, where players are bought by Bollywood actresses for money and lust. These players are becoming devoid of spirit of competition for money.